Dress your daughter in a grey jacket and a grey skirt to create a cool, stylish look. 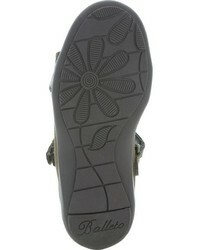 As far as footwear is concerned, suggest that your little girl opt for a pair of Jumping Jacks girls twist mary jane. This combo of a grey cardigan and a grey plaid skirt will enable you to keep your little princess's' style clean and simple. Jumping Jacks girls twist mary jane are a smart choice to complete this ensemble. Create an enviable style for your girl by suggesting that she opt for a charcoal coat and navy dress. 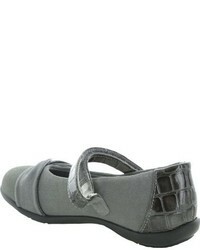 Jumping Jacks girls twist mary jane are a great choice to complement this getup. Suggest that your darling wear a dark brown sweater with a yellow tulle skirt for a comfortable outfit that's also put together nicely. 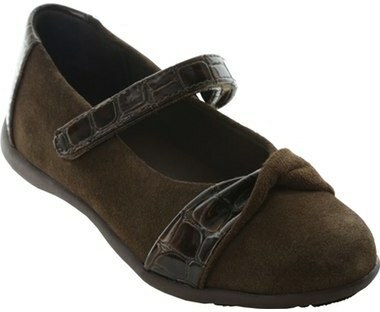 As for footwear your little girl will love dark brown ballet flats for this style. Suggest that your mini fashionista dress in grey plaid dress for an easy to wear, everyday look. Dark brown ballet flats are a good choice to round off this outfit.